This article was written for the Leicester press just before our recent social at Leicester University. Yvonne has built up good relationships with local people in all the countries where she has volunteered. She is still in contact with many of them, and many of them still remember her as ‘Grandma’ – she says she now has adopted grandchildren all round the world! 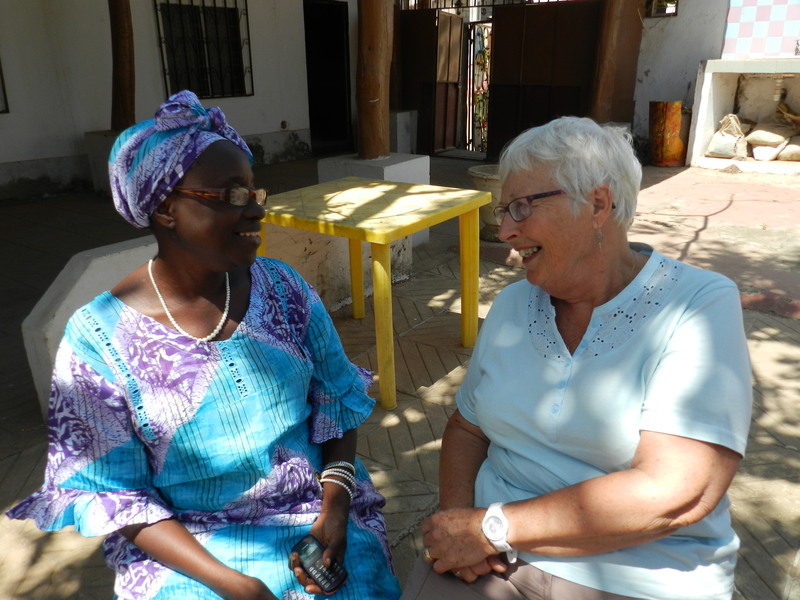 Yvonne says, ‘I would recommend volunteering to anyone – you are giving of your time and talents but gaining a wonderful insight into the cultures and diversity of our world’. 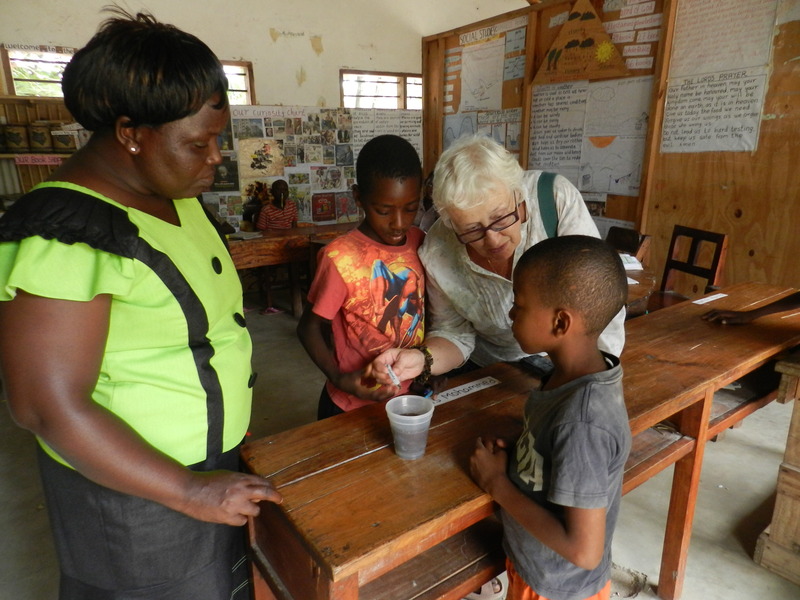 Before her retirement Yvonne was a teacher and all her volunteering placements have made use of her teaching skills and experience, working in local schools and helping to train local teachers. Her specialist subjects are Maths and Science, especially in the primary sector, and this has been invaluable to teachers in the developing world where their access to resources is often very limited; Yvonne says ‘The practical Science I have introduced has been to show how the subject can be taught without proper lab equipment. One of my strengths is the ability to make do and mend and the recycling of everyday objects into useful teaching equipment’. She has also helped teachers with more interactive methods for the teaching of English, which is often the main language of education even for children who speak other languages at home, and her interest and skills in Music and Drama have been welcomed in all the countries where she has worked and have added a new dimension to children’s experiences as these subjects are rarely a formal part of a school’s curriculum. Yvonne volunteers with people and places, an award-winning organisation which sends volunteers of all ages on tailor-made placements which match their skills and experience to locally identified needs, in 10 different countries in the developing world.